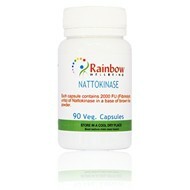 Nattokinase is a potent fibrinolytic enzyme extracted and highly purified from a traditional Japanese food called Natto. 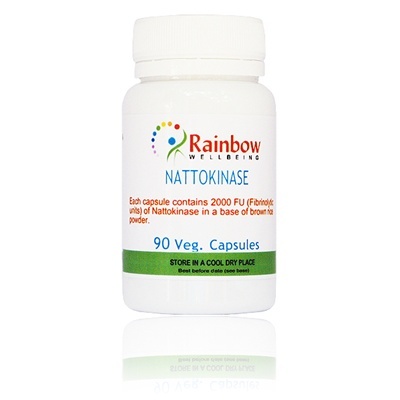 Research has shown Nattokinase to support the body in breaking up and dissolving the unhealthy coagulation of blood and to support fibrinolytic activity. The human body produces several types of enzymes for making thrombus, but only one main enzyme for breaking it down and dissolving it - plasmin. The properties of nattokinase closely resemble plasmin. According to Dr. Martin Milner, from the Center for Natural Medicine in Portland, Oregon, what makes nattokinase a particularly potent enzyme, is that it enhances the body's natural ability to fight blood clots in several different ways; Because it so closely resembles plasmin, it dissolves fibrin directly. In addition, it also enhances the body's production of both plasmin and other clot-dissolving agents, including urokinase (endogenous). Use this product after appropriate advice if you are pregnant, nursing or allergic to soy. Also seek advice before use, if your are taking an anticoagulant (blood thinning medication) or vitamin K, or if you have experienced bleeding or had a recent operation. Take 3-4 capsules a day. Use this product after appropriate advice if you are pregnant, nursing or allergic to soy. Also seek advice before use, if your are taking an anticoagulant (blood thinning medication) or vitamin K, or if you have experienced bleeding or had a recent operation.